I was going to save this recipe for a summer picnic type post but what the heck – might as well use it for a dish to pass this weekend for the big game, right? Heck yeah! Bacon, potatoes, cheese and jalapenos, what could be better! I tried this recipe last year from Christin Mahrlig’s blog, Spicy Southern Kitchen. This potato salad turned out just like the photo in the post and it also tastes as good as it looks. I found that the salad was best, made fresh, the day you want to serve it. I love the texture the bacon adds to the salad and the cream cheese was something I would never have thought of but it adds a depth of creaminess that mayo alone cannot achieve. If you would like the recipe head on over to Christin Mahrlig‘s blog and check it out by clicking on her name which is highlighted. You won’t be sorry! 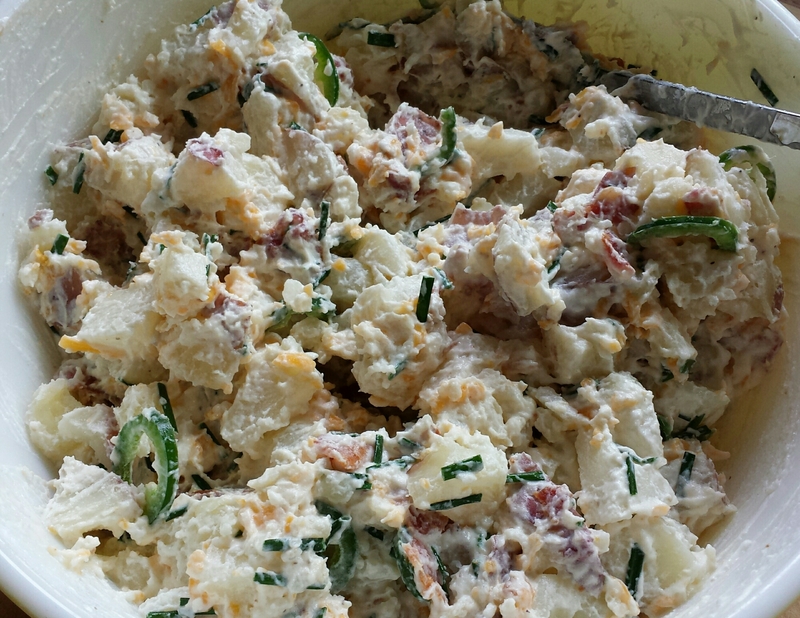 This entry was posted in cooking, Uncategorized and tagged Big Game Food, Christin Mahrlig, cooking, Jalapeno Popper Potato Salad, potato salad, recipes, Spicy Southern Kitchen, summer food by marymargaretripley. Bookmark the permalink.